The Partridge Family Olive Company is a family-owned and operated olive grove and producer of hand-crafted California Extra Virgin Olive Oil. This adventure essentially started in 2008 with the planting of our first trees which now number 190. As a micro-producer (under 200 gallons), we specifically concentrate on Tuscan-style blends and Taggiasca Extra Virgin Olive Oil. We are located at 1575 Charolais Road (between South River & Creston) in Paso Robles, County of San Luis Obispo on the California Central Coast. Private residence, tasting room currently not available. Our Commitment is to ensure unsurpassed quality and product integrity that is not only worthy of the origins of our Tuscan & Liguria varietals, but more importantly, to our customers. The Partridge Family Olive Company consists of Mike, Angela & Shelby along with German Shorthaired Pointers Pongo & Cisco (Tuscan & Wyatt, now deceased). Mike's heritage is predominately English & Welsh. He has a strong business background and has successively been at the helm of the family-built 4WD drivetrain conversion business for over two decades. His stress relief is his love to cook, especially using high quality extra virgin olive oils. Angela is first and second generation Italian. Her inspiration to start up a small hobby grove was a way to incorporate her heritage, and the family's love of good food and appeal towards stronger extra virgin Tuscan Olive Oils. Although a decent amount of physical work is involved with an olive grove, it proves to be a nice distraction for us when not running our main occupation which is the 48+ year old manufacturing business in Paso Robles known worldwide as Advance Adapters. What's the significance of your logo & labeling? Our logo symbolize our actual family name. Our distinctive wood, metal or bottle etched labeling has personal or local significance which is the inspiration basis for the whole family when creating exceptional blends. First year of oil production oil? 2012. First brand name? "Shelby's Blend". We had many ‘firsts’ this year, namely our daughter Shelby who had to be born prematurely at 31 weeks. Hence, within our logo you will find her footprints which we feel is a strong representation for all preemies and their families. This oil was in a laser etched bottled. Other blends/brands? "Tusci" was our 2nd blend release in 2015, a medium peppery Tuscan blend for everyday use. This was the first time using veneer wood for the labeling. Our 3rd release in 2016 is called "Points North" and ideally our rustic, herbaceous Tuscan blend. The name and logo concept for this new blend was to incorporate our dogs & locale somehow, but coming up with the name was entirely a different story. About a month of tossing around ideas, it was purely by accident that we found the right name in AAA's Westways magazine describing points of interests "all points north of Southern CA". Whalla! Points North was born. And finally in 2017, we rounded out the options by combining all of our grove varietals into one ultimate 'field blend' which we offer as "The Field". What about future releases? Our plan is to bring back from time-to-time Shelby's Blend as "Shelby's Blend - SBP". The SBP addition stands for our daughter's initials and coincidentally happens to be the same as the airport code for San Luis Obispo County. Making a mild blend predominately using Taggiasca olives and to alternately offer it between Point's North, Tusci & The Field is our thought for this brand. Lastly, our design plans to make the "Drop of Olive" flint crystal-like bottle has be shelved indefinitely because of bottle sourcing difficulties. Maybe one day we'll be able to offer it as a reserve line. Other hobbies? Spending time with our German Shorthaired Pointer(s) and Confirmation Dog shows, RVing, and the old sport of Racing Pigeons. We predominately grow five Italian varietals (130 trees): Frantoio, Leccino, Coratina, Maurino and Pendolino. Our creative venture is to produce the ideal profile of rustic Tuscan blends having just the right balance of pepper & fruity notes with a smooth buttery texture. Coratina – From Puglia (southern Italy) high, consistent fruitfulness yet robust. Initially we just used the ‘field blend’ method (up to 2015), but this proved too inconsistent. After attending the Fresno State Master Milling Seminar at the Jordan Agricultural Research Center in August 2016, we learned control measures were needed to ensure that quality remains number one. By color-coding the trees, we can now pick & mill each varietal into separate lots. The benefit of this is we can master blend the EVOO (based on the characteristics) into the desired percentages of each varietal and/or, if one is exceptional, market it as a single cultivar or create other brands. The Taggiasca olive varietal is an olive tree with origins in Western Liguria on the Riviera del Ponente. Its history dates back to the Benedictine Monks of Taggia Monastery from Pedona (known today as Borgo San Dalmazzo in Piedmont) who brought olive transplants from Monte Cassino – the birthplace of the Benedict Order located on a rocky hill 8 miles SE of Rome. The Benedictine Monks cultivated the Ligurian olive trees by meticulous selecting & grafting. Then by the 16th century when oversees navigation began, this olive oil became a commodity most traded from that region. Since that time, this varietal has been called “Taggiasca”, derived from their ancient Roman city name ‘Taggia’ (taggiasche); and these olives constituted one of the most important economic income sources for the local populace in the province of Imperia, Liguira (Italy). This cultivar is one of thousands available world-wide but is still the only varietal grown in Liguria. Today, the Taggiasca olive has become one of the most sought after olive oils because of its distinctive characteristics. 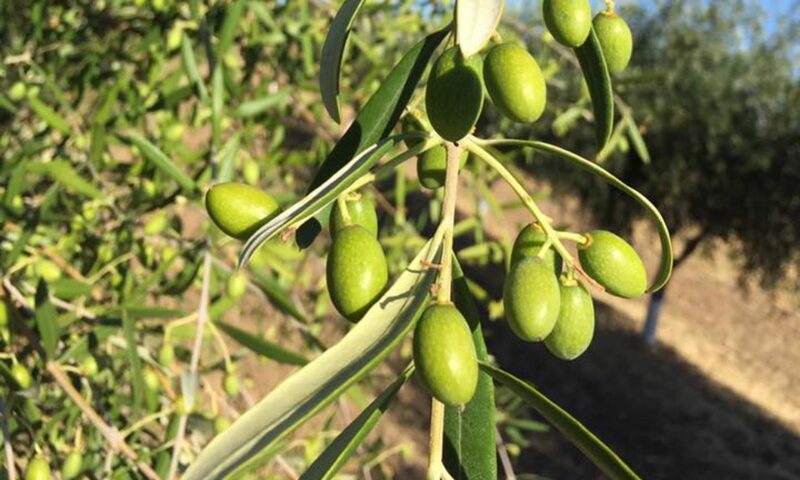 We feel privileged to be growing it here in Paso Robles, CA and we plan to press these olives separately for an exclusive bottling when in full production. Error: Error validating access token: Session has expired on Saturday, 20-Apr-19 13:55:24 PDT. The current time is Saturday, 20-Apr-19 20:01:30 PDT.